The 2012 anthology No Straight Lines was intended to cover four decades of queer comics, and editor Justin Hall admitted that the collection was incomplete but it was a snapshot of comics culture and it provided a valuable historical and aesthetic context. 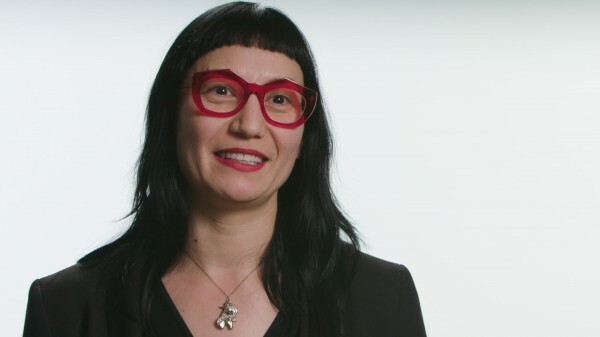 For the past few years Hall has been working with the Peabody Award winning filmmaker Vivian Kleiman to make a documentary of the same title. 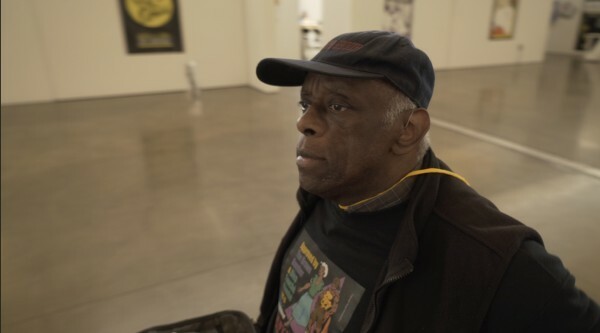 The film, they noted in our conversation, is a different beast from the book, and looks at the personal lives and work of a handful of artists who were instrumental to this movement and trying to explore what that's meant. ALEX DUEBEN: First of all, for people who don't know, what is the book No Straight Lines? JUSTIN HALL: No Straight Lines: Four Decades of Queer Comics is a book that I edited and compiled for Fantagraphics that shines a spotlight on the history and artistry of LGBTQ comics. It was a pretty massive undertaking, containing work from over 100 queer comics luminaries, an essay by me detailing the historical and cultural context of the work, and an introduction from Lana Wachowski (The Matrix, Sense8). It won a Lambda Literary Award and received an Eisner nomination in 2013. DUEBEN: So why a film? 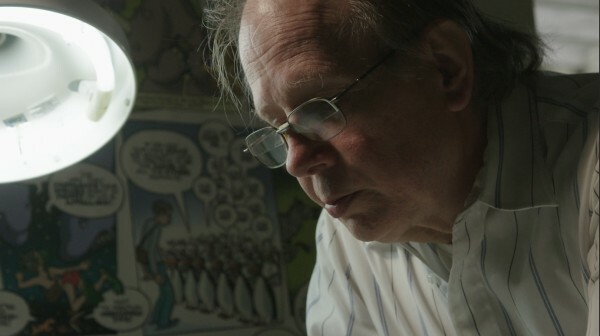 HALL: The film can do something that the book couldn't: namely, show the comics creators themselves and chronicle their personal and creative journeys. We're lucky that so many of these artists not only made amazing work but are also fascinating people as well! It's been such a joy and an honor to get closer to some of my friends and artistic heroes by filming them. We got to shoot Alison Bechdel ink her pages as she talked about the origins of Fun Home and fought with her temperamental cat, Donald; we filmed Howard Cruse and Denis Kitchen sitting around a table drinking coffee and chatting about the origins of the seminal Gay Comix series that they launched back in 1980; we shot Mary Wings describing the creation of the first lesbian comics book back in 1973, Come Out Comix, and then smoking a joint made from the pot she grows in her backyard, whipping out her accordion and playing a song with her terrier singing along! Of course, we're also using the film to talk about the history and cultural context of queer comics, using archival footage, b-roll of conventions and events, the art itself, and more, but there's something really special about how film as a medium can create dynamic portraits of people. VIVIAN KLEIMAN: As a documentary filmmaker, I strive to take viewers on a unique emotional journey. My theory: if I first succeed in grabbing the viewer in their hearts, then their minds will open to new ways of thinking. 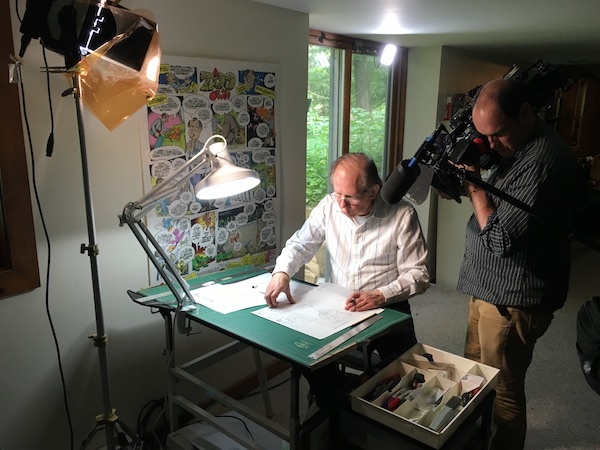 For this project, the film version of Justin's anthology No Straight Lines covers the same story of the emergence of queer cartoonists from the margins of society to mainstream acceptance. But the film is narrower in scope. Rather than a survey of queer comics populated by innumerable artists, the film takes a focused approach, profiling five key artists and their personal stories to offer a more intimate perspective. Because the artists are great storytellers, the film will not need narration. The artists' stories are rich in detail, pithy, and replete with insight and astute observations. As needed, text on screen will fill in gaps to anchor the narrative. The volume of visual material and the compelling nature of the images are a fresh vehicle to tell queer history to a new generation. But the artwork itself is flat and two-dimensional. A motion graphics artist will be added during post-production to infuse the graphic panels with eye-grabbing movement and dynamic storytelling that will appeal to all, but most especially to youth. A well-made documentary film has the potential to reach a huge audience far beyond Justin's book through film festival theatrical screenings, classrooms, broadcast, and streaming. DUEBEN:The book was a collection of stories from different artists over the decades, Vivian, how does one take that and find a narrative within that or around that? KLEIMAN: Justin's book presents the work of cartoonists in chronological order. A simple film would be a series of self-contained profiles of several artists. But these artists are part of a community. And many of them were doing work for decades. So we are taking on the challenge -- and garnering the rewards -- of interweaving the stories and constructing an emotional narrative that has a variety of triumphs and frustrations. Alison Bechdel, for example, tells the story of the pivotal year 2000 when the ascendance of Amazon and internet digital reproduction threatened her livelihood as a working artist and almost forced her to change careers. Ultimately, it's a journey of an art form from the margins of the underground scene to mainstream acceptance. DUEBEN:Who are the people you've talked to and wanted to talk with who you saw as the key figures in this film? KLEIMAN: Each of the artists we profile is of major significance in the history of queer comics. 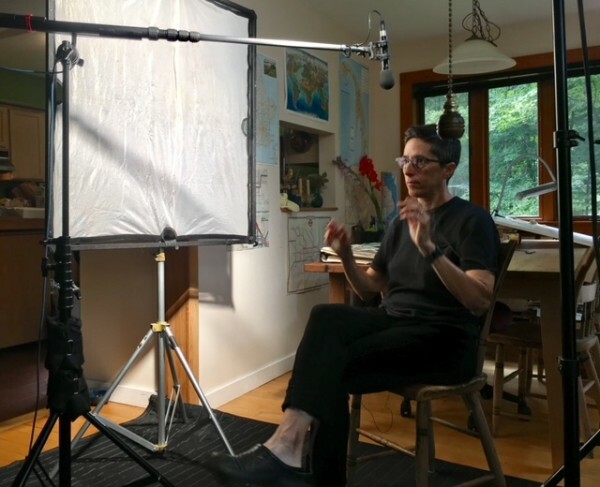 Among those who are profiled in the film are: Mary Wings, creator of the first published out lesbian comics; Howard Cruse, aka the Godfather of Queer Comics; Rupert Kinnard, creator of the first African-American gay comics; and Alison Bechdel, winner of a MacArthur Award for Fun Home. HALL: We started with the obvious choices of Alison Bechdel (Fun Home, Dykes to Watch Out For) and Howard Cruse (Wendel, Stuck Rubber Baby), as they've had the greatest impact both within queer comics and beyond. After that, we're having to make some very hard choices, as the film only has room for a very limited number of actual portraits. Definitely on the roster, though, is Rupert Kinnard, who created the first black queer characters in comics and is a gem of a man, and Scout Tran, a dynamic trans web cartoonist and multi-media artist who lives in a wonderful artist studio warehouse with its own slingshot firing range! 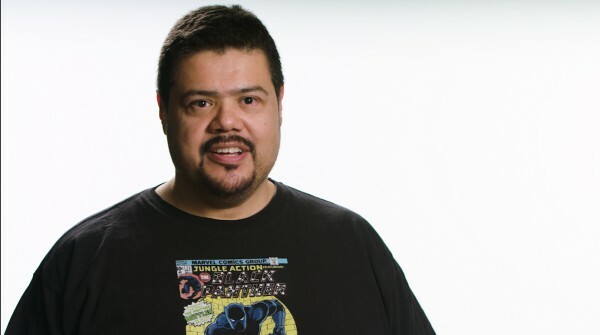 We also filmed a bunch of short interviews with creators who gathered for the Queers & Comics Conference that was held in San Francisco last year (we hosted it at the MFA in Comics program in which I teach at the California College of the Arts). These short pieces will act as a sort of Greek chorus throughout the film, putting the rest of the narratives in context, and include luminaries such as Sina Grace, Nicole J. Georges, MariNaomi. DUEBEN: As you started working on this and planning, how has the film changed? Or has it changed much from how you initially conceived of it? HALL: I've been working on and off on this project for a number of years now. It was suggested to me by my friend Dan Zeitman, but it was when I collaborated with Greg Sirota that we managed to do a bunch of filming and create the first trailer for the film. Unfortunately, Greg moved down to LA to pursue his own career and pulled back from the project, but he introduced me to Vivian, which has been wonderful! She's the real deal as a documentary film maker, so it's been rewarding and illuminating working with her and our incredible cinematographer Andy Black over the last two years gathering more interviews and footage. 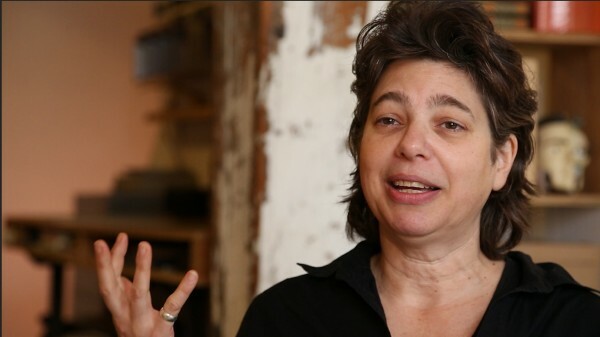 KLEIMAN: After filming three of the five artists, we began editing selected scenes to show to potential funders. It soon became apparent that the film was missing the dynamic edge of the contemporary queer comics scene, which makes sense since the film's scope was limited from the early 1970's to the mid-2000's. To address that problem, I did an experiment and filmed mini "speed interviews" with young, edgy queer comics creators. 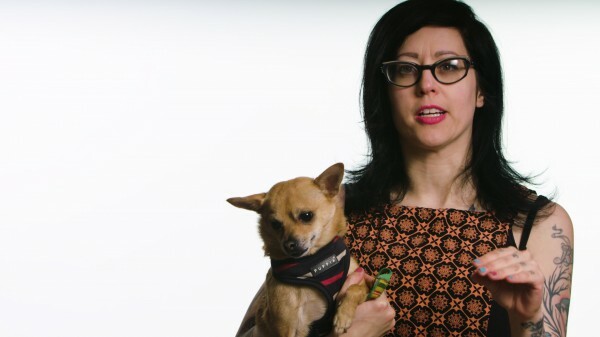 At the Queers & Comics Conference held at CCA last year, I filmed a dozen up-and-coming artists who spoke about the significance of their work and the work of those who paved the way for them. I tested out the notion of using these comments as a sort of "Greek Chorus" that punctuate the narrative at various points in the film. And to everyone's delight -- and some surprise -- it worked! The film now is infused with a vitality and contemporaneous voice that was missing had we just stuck with the original plan. DUEBEN: Why are you using kickstarter and what are you trying to do to finish the film? KLEIMAN: The purpose of the crowd funding campaign is to raise funds to complete the production phase -- filming -- and begin post-production -- editing. HALL: We've already raised quite a good deal of money through grants from the California Humanities, the S.F. Foundation, and the Berkeley Film Foundation, as well as some substantial private donations, but we need to raise a final chunk of change to finish up our last interviews and b-roll and launch into post-production. The good news is that we have funding lined up for that final phase, and already have interest from Frameline, the world's largest LGBTQ film festival, to debut it! So, we just need to get this final bit of funding and we will be on our way. The other great thing about launching a Kickstarter is the great publicity and engagement you get from it. Even though it's a nerve wracking process to do a funding campaign like this, the outpouring of love and support has been incredibly validating and inspiring. DUEBEN: Do you have any favorite moments from shooting that really stand out for you? Moments that really captured what you hoped to do, why you wanted to make this film? 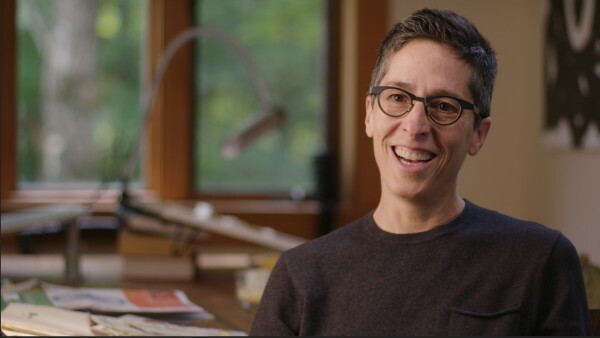 KLEIMAN: Alison Bechdel has been interviewed and filmed countless times. She also has given innumerable lectures and keynote speeches. So she's told the story of her career and work over and over, to the point that one would assume no new stories -- and certainly no fresh storytelling could be captured for our film. But at one point while I was interviewing her, I asked a particular follow up question that caught her off guard -- it was a link between two prior stories. At that moment, I could visibly see in her eyes that Alison was getting very emotional. And instead of pursuing the line of inquiry further, I allowed for some silence, for the heaviness in the air to lift, and then continue further in the filming. HALL: She was describing an emotional moment about her relationship with her closeted father that ultimately helped lead to the creation of her memoir Fun Home; it was beautiful, profound, and it took the air out of the room. It was at that moment in particular that I realized how important this film was, to put her work, along with the work of other artists, in a personal and emotional context that will speak to every sort of person who sees it. LGBTQ comics have always been about taking personal truths usually ignored by the mainstream culture and turning those into powerful and creative calls for empathy and connection; this film will carry that mantle forward in a dynamic and profound way. KLEIMAN: It was exactly the moment of intimacy with the artist that I had aspired to achieve but didn't know if it would be possible. At the same time, I had no need to exert any further emotional stress. The film didn't need that. DUEBEN: Justin you pulled together this book of four decades of comics and cartoonists and since then we've had books like Anything That Loves and QU33R and others I think I could make an anthology of creators not included or who have just emerged since No Straight Lines came out. How do you see this film in relation to you and the work you do, to your students, and to these young artists who may not know the people being interviewed? HALL: That's such a great question! There really has been an explosion of work since the book came out, which has been incredibly inspiring. I was just chatting with Jennifer Camper, who created the Queers & Comics Conference, about this and we were remembering when most working queer cartoonists knew each other because it was a fairly small, insular world. Now, there's no way to know everyone! The work now is international, intergenerational, and incorporates every possible sort of genre, identity, and aesthetic. I'm glad my book came out when it did, because I think it was the last moment when it was possible to actually create an overview in one book. Of course, as you pointed out, there were plenty of people I had to leave out due to space and other constraints; I realized in compiling the book how incredibly deep the history goes and how impossible it really was to create anything like a "definitive" collection. I only hope that the book began a conversation about the history of queer comics that can continue and grow. The material presented in books like QU33R and Anything That Loves represents the future, bringing veterans that have come up through the queer and feminist underground together with new voices emerging from the webcomics and indie queer comics scenes. There's been also a greater acceptance and awareness of the work beyond the comics world. The year after my book won a Lambda Literary Award for Best Anthology, for instance, I presented a Mid-Career Achievement Award to Alison Bechdel and they launched a Graphic Novel category; comics had finally been fully accepted among the queer literary world as an important medium! Now you even see major publishers clamoring for well-made, queer-themed graphic novels. DUEBEN: Just to close, what is it that you're hoping to do with this film? What is it you hope it will be? KLEIMAN: From the tragic events of Charlie Hebdo, to Garry Trudeau's George Polk Award in Journalism (the first cartoonist in the program's history to receive a career award for editorial cartoons), to Alison Bechdel winning the Time Book of the Year Award for Fun Home, we are coming to a new understanding of the power of comics and the use of humor to make social commentary. LGBTQ artists have been using comics to explore the changing lives and experiences of queer people for over four decades, but only now are these stories entering into the broader cultural landscape. This is the moment to take stock of the history of this underground artistic community and its accomplishments, which parallels the remarkable societal shift both towards acceptance for queer people and recognition of the power of comics as an artistic medium. But as we witness today's triumphs of LGBTQ rights, we also see a vitriolic backlash against queer people. By using comics to chart the historical trajectory and diversity of queer life -- the dilemmas, the celebrations, the conflicts, that which is unique to the LGBT experience and that which cuts across most lives -- the film will generate new understandings of -- and hopefully comfort with -- what it means to be queer today in the U.S. Moreover, today the statistics on LGBTQ teen suicide are deeply disturbing. The attempted suicide rates among queer teens are disproportionate to the general population. For LGBTQ youth, this film will not only capture the optimism and passion of the times, but will also give voice to the dark feelings not easily expressed. Graphic novels and comics are the vernacular of young people. This film will place engaging visuals and poignant humor in service of connecting these viewers with shared experiences. 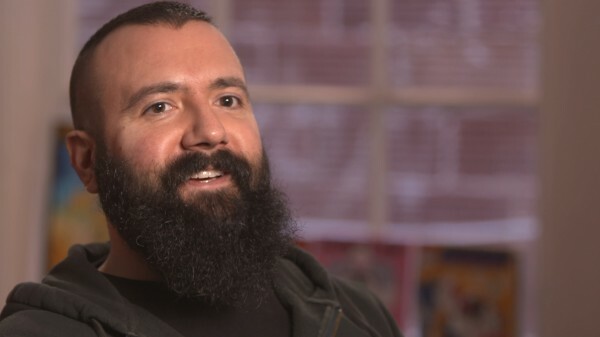 The power of these stories -- of artists overcoming their own demons through artistic expression, connection, and perseverance -- may be very impactful. HALL: I urge people to help support this film! Check out the Kickstarter and donate what you can and spread the word. There are some great rewards available as well, such as digital and print editions of No Straight Lines, QU33R, and Anything That Loves, as well as some more unusual offerings, such as a ringtone from Donald, Alison Bechdel's female, queer cat named after pioneering psychoanalyst Donald Winnicott. Queer people are often unaware of their own history, as it is usually not passed down within families and is kept out of the textbooks; similarly, cartoonists are often ignorant of the history of their own medium, which has been looked down upon by academics for too long. I feel passionately about helping to try and change that in whatever way I can, and this film is a big part of that. This documentary will pay homage to the pioneers who broke so many boundaries and paved the way for us, and it will help us to imagine a future that's bright, queer, and full of comics. I remember the absolute last copy of the first print run of the No Straight Lines book, which I sold at Comic-Con in 2013; it was to a middle-aged, straight woman buying it for her teenage, gay son. She told me that she was getting the book for him because she wanted him to know his history and lineage, and she couldn't tell that story to him herself. She thanked me for creating the book for both of them and I promptly burst into tears. Then we hugged it out. It was an incredible moment. I want that mother and son to go to this film together as well when it comes out, to share some popcorn, laughter, and tears as that same history hits the big screen.